Housewives In The City presents Margarita Madness Girls Night Out! 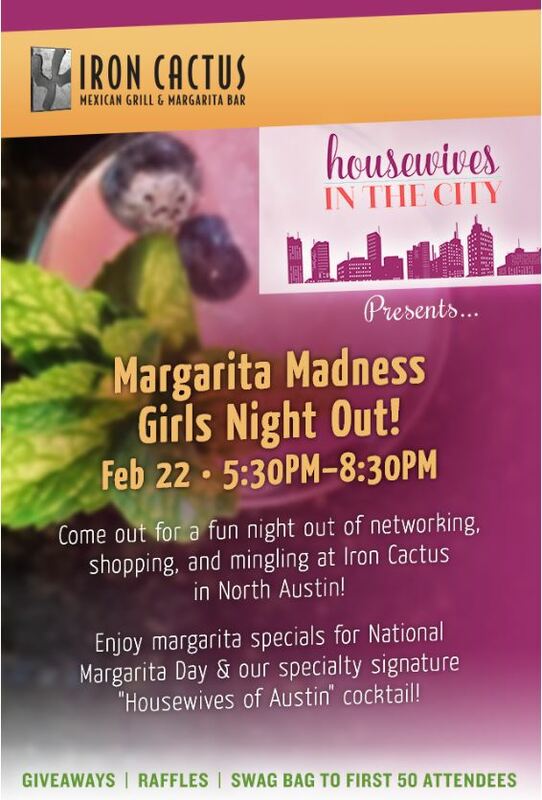 Come out for a fun night of networking, shopping and mingling at Iron Cactus in North Austin! Enjoy margarita specials for National Margarita Day and our specialty signature “Housewives of Austin” cocktail! In Austin Mexican Restaurants Events. Bookmark the permalink.